flipSYNC keychain sync cable | BlackBerry Blast! The flipSYNC - Micro & Mini USB 2.0 Charge and Sync Cable is a gadget for that road warrior who finds carrying sync cables a hassle. The flipSYNC attaches to your keychain so you always have a sync cable with you. 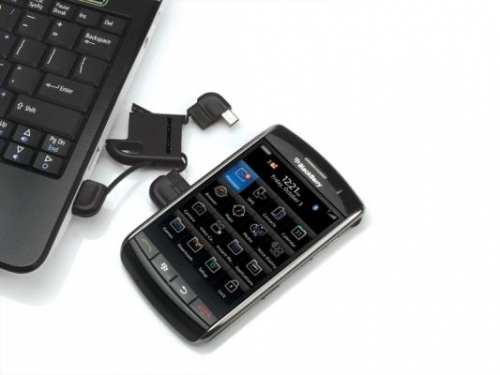 The flipSYNC is available for Micro & Mini USB as well as iPod/iPhone/iPad charger. At $20 it isn't cheap, but it's very cool!